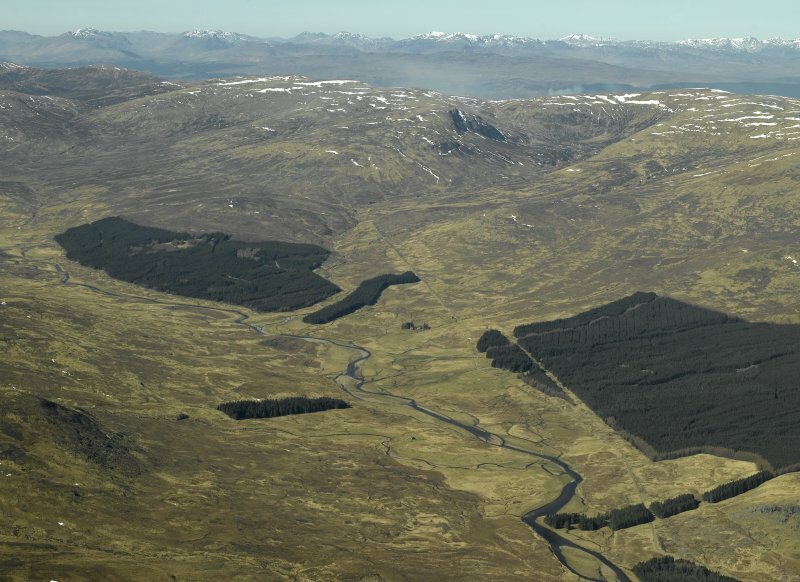 General oblique aerial view centred on the military road, taken from the ESE. G R Curtis and R L Smith 1987. NH 374 071 - NN 462 961 A watching brief was maintained over the Dalwhinnie to Fort Augustus military road or Corrieyairack Pass, focusing on the section from Fort Augustus to Melgarve which is a Scheduled Ancient Monument (NMRS NH30NE 21, NH30SE 2, NH39NE 2, NN49NW 2, NN49NE 2-4). The road was being used for the refurbishment of an electricity pylon line. No archaeological features or deposits were revealed by groundworks. Protection was made to features that might be disturbed by work by placing of terram material. 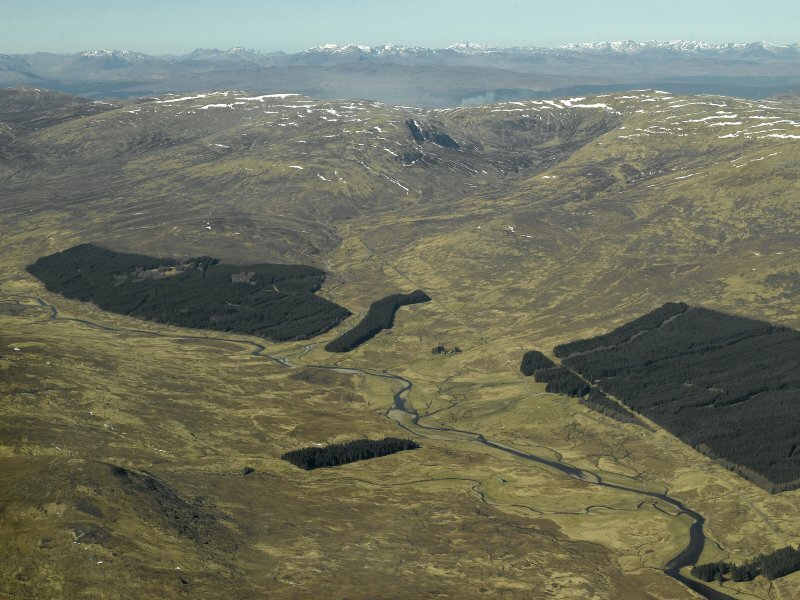 Report lodged with Highland SMR and the NMRS.